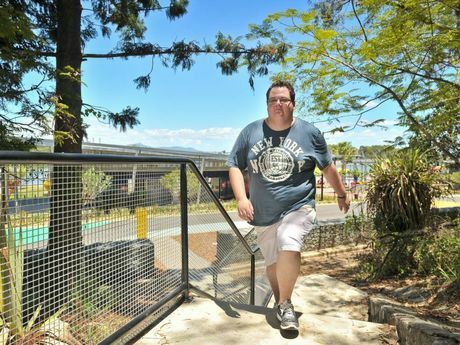 HUNDREDS of locals have extended a helping hand to Martin Evans after hearing his story speaking up against bullies. Earlier this week he was harassed by two men while out jogging. Within 24 hours of his post on Facebook this week, he had received more than 4500 'likes' and 1000 comments of support. Australian Sports Nutrition manager Ben Schofield said after seeing Martin's story his team was inspired to help out. "Initially when I read his post I couldn't fathom why someone would feel the need or what benefit they would get by belittling someone who was working hard to better himself physically and mentally," he said. Local woman Liz Snell created a Facebook group dedicated to Martin and supporters. "The group is called Martin & Mates - Sharing Health Journeys and it already has 325 members," she said. "The aim is to support Martin in his goals, offer recipes and hints to a healthier lifestyle for all and together we will munch through the kilos and we will munch through the negative. Barbara Taylor from Lady in Black Soul Food has also jumped on board. "We offered one simple act of kindness to a man that is truly deserving and it has created a ripple effect of love and togetherness," she said. What is your experience of exercising in public in Gladstone? Good or bad? Give Rosie a call on 4970 3027.